Every beauty website and magazine is talking about Spring’s barely there contour, a shadow so undetectable it seems effortless. While I know a bronzer “shouldn’t” be used to contour, they’re not the right shade, and all that jazz, I feel like where there’s a will, there’s a way. And I prefer warmth during the summer, as I mentioned in my last post. I don’t gravitate towards Benefit much, and the products I’ve tried don’t work for me, but I love this Dew The Hoola Liquid Bronzer! It’s subtle, warm toned but not unflattering in any way. It blends beautifully, and doesn’t move all day. A little bit can be used all over your face for some colour, mixed in with foundation, or in the usual “3” shape on your high points. I use the latter method, and I set it with a translucent powder and then go over with a soft bronzer. Once, I forgot to use my second step, and sort of freaked out when I got to work and realised! But I’d used and set Dew the Hoola, and I could see the definition I prefer to my face. For some, this may not be pigmented enough. But I love how sheer and easy to use it is. The packaging is quite lovely and tropical as well, along the lines of Benefit’s usual cute shapes. 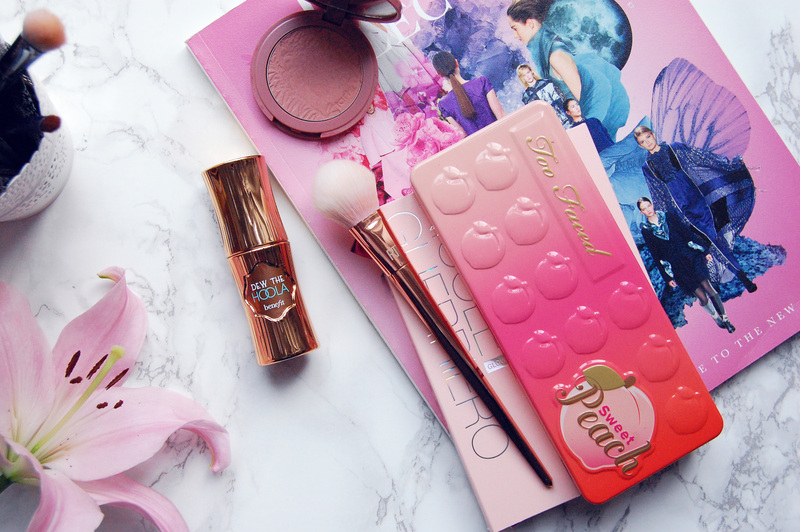 I’d quite like to try more of Benefit’s cheek products now. As insane as it sounds, I still don’t own Benefit’s Hoola bronzer because it seems a bit too orange toned for me! Have you tried Dew The Hoola? I haven't actually tried anything from Benefit range and can't wait to try it eventually. Love your blog! Thank you! I'm the same, I've tried all of five Benefit products, and this is the first I've bought on my own. But this I rather like!